Ahhhh, Paris – the wonderful French city of romance, glamour, and culture. As well as the famous sights of the Eiffel Tower, the Arc du Triumphe, the Louvre, et al, you will be delighted to hear that there are also plentiful free things to do in Paris. Wander the beautiful streets, gaze at marvelous items in tempting shop windows, and make the most of fantastic Paris without breaking the bank. One of the main Parisian landmarks, it is also completely free to go inside this impressive and ornate religious icon in the city. The Gothic building is surrounded by fearsome gargoyles and terrific sculptures. 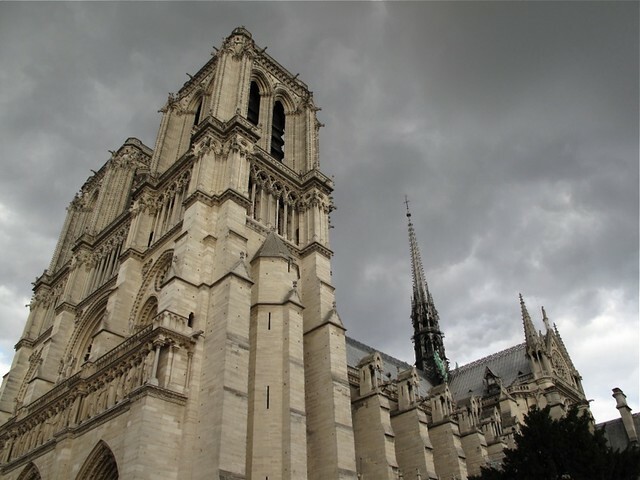 It is breath taking both inside and out, and an absolute must on a trip to Paris. 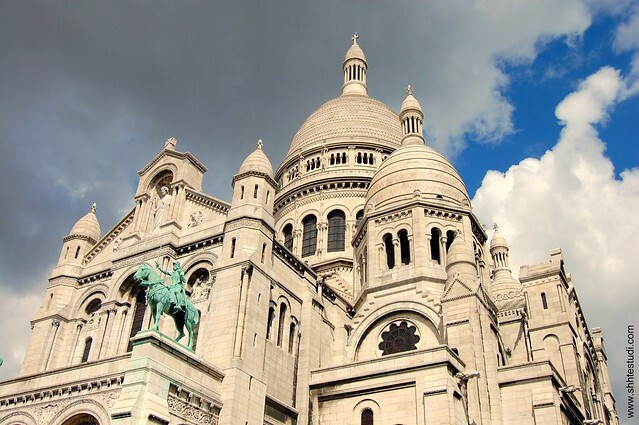 Another key yet free Paris sight is the marvelous white marble church of Sacre Coeur. The domed church is spectacular from the outside, and inside you can admire the gleaming gold mosaics, shimmering stained glass windows, statues, and pictures. You will need to pay if you wish to visit the dome or the crypt, but there is no charge to go inside the main body of the church. 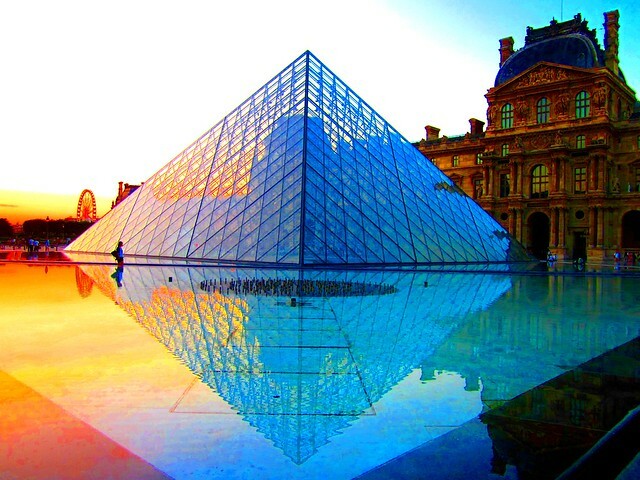 Known is French as Musee d’Art Moderne de la Ville de Paris, this excellent museum is home to a great selection of contemporary pieces. Art lovers are sure to love the various works contained within. 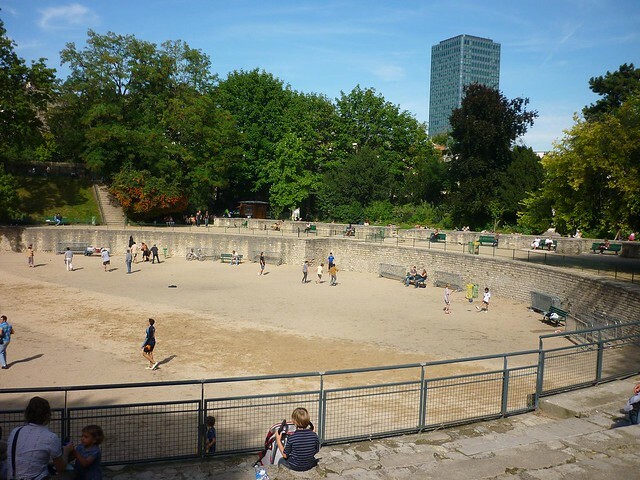 This peaceful, tranquil, and poignant spot is not only beautiful and memorable, but also allows you to see the fantastic graves, tombs, and memorials of former Parisian greats. Literary and musical geniuses have been laid to rest in the cemetery, and it is the final resting place of Oscar Wilde. Many adoring fans visit the grave of the legendary late member of The Doors, Jim Morrison. 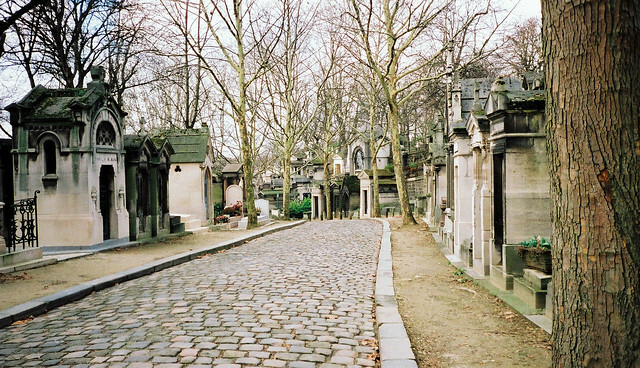 To see where other intellectual and famous former city members lie, head over to the equally serene Montparnasse Cemetery. In the heart of the Latin Quarter, this is the perfect place to see the remnants of the Roman legacy in Paris. The enormous amphitheatre is believed to be one of the longest ever built in the whole world. It is impressive and formidable. Wander at leisure along this delightful cobbled street and imagine the Paris of yesterday amongst the traditional food shops. Sample some delicious fare as you meander past exquisite fromageries, peek into creperies, see artisan bakers’ stores, drool over ice cream sellers, and more. It is particularly lively and interesting at the weekends. Other fantastic free things to do in Paris include a stroll along the banks of the pretty St Martin Canal, admiring the statues in the picturesque Parc Monceau, seeing excellent sculptures at Atelier Brancusi, and taking a journey through Paris through the ages at the Carnavalet Museum. Let these places inspire you in the tremendous capital city of France.